In a surprising move, the leader of the “Berlin Protest” announces he is shutting down his Facebook page and returning to Israel. In a surprising move, the leader of what has become known as the “Berlin Protest” or the “Milky Protest” announced on Thursday that he will be shutting down his Facebook page and returning to Israel. Naor Narkis, who launched the Facebook page exposing the lower cost of living in Berlin and encouraged young Israelis to move there, explained his sudden decision in the fact that he had succeeded in his mission - to bring to the forefront the problem of the high cost of living in Israel. “In 24 hours, at exactly 22:54 Berlin time, this page will be shut down,” wrote Narkis, who originally chose to remain anonymous and only agreed to reveal his identity several to the press several days ago. “Over the past 30 days, this page sounded the voice of ​​a lot of Israelis. The anonymity that characterized the majority of its existence allowed me to be the voice of many. It allowed to bring out all the problems that neither the media nor the politicians wanted to talk about the last three years. “This page has shown that if you want to change something enough, all you need is a pair of eyes and to say out loud what you think,” wrote Narkis. “That you can do anything. Contact the German Chancellor, wake up the Israeli government, be sent to the Government of Spain, travel continents, compare, review, argue, be angry, be hurt. And that our greatest enemy is our indifference to the outside reality. “Personally, I have decided I need a period of quiet. I did not open this page for the publicity and, in fact, I gave up my anonymity as soon as I was exposed, almost with no other choice. But it's not just about me, this is the story of our country. The way I see it, anyone who feels Israel is important to him, has two options. Move abroad, or change it. “As for me? In the coming month I will return to Israel. My experience here really affected me. I am not interested in making promises or in pretending that I can bring change, but I hope that all of us together can...I have full confidence that we Israelis have the energies and intensities so that people can have it much better in Israel. Now the ball is in your court. Decide who you are going to pass it to,” concluded Narkis. The Facebook campaign urging frugal Israelis to emigrate claims that at least 9,300 Israelis have expressed a desire to flee to Europe over the past several weeks. 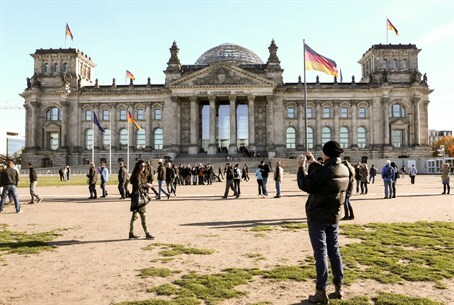 However, an official tally indicates that emigration appears to be at the lowest rates in recent history, with liberal estimates stating that just 15,000-18,000 Israelis are living in Germany today. Finance Minister Yair Lapid (Yesh Atid) criticized the Berlin movement earlier this month, saying, “There have always been post-Zionists and anti-Zionists; these people are anti-Zionists." The same day, Lapid pledged to lower prices so as to prevent the economic draw bringing Israelis to Berlin.